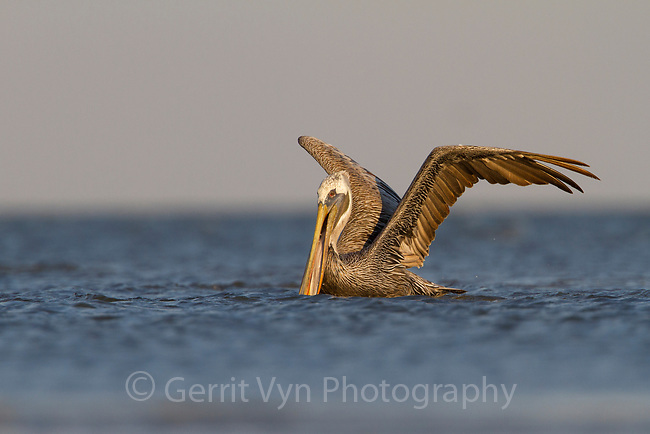 Adult Brown Pelicans (Pelecanus occidentalis) about to takes flight after capturning a fish in the coastal shallows of a barrier island. Terrebonne Parish, Louisiana. October.